It’s official. This year, for the first time, I’m opening up my multi-month, joyful, reflective, connective Dig Deeper Experience to ALL couples - not just people planning weddings. It’s for all my fellow “Busy People”, who love each other and always wish you had a little more time to just BE with each other. Forget vacations. Forget special occasions. When’s the last time you sat down - with zero distractions - and simply asked your partner: What’s the most important theme in your life right now? When was the last time you talked about the ways that you’ve both evolved, year by year? Who can do this with me? Well, the external details don’t matter. You can be on your 40th wedding anniversary, or you can be unmarried soul mates. Together 5 years or 50 years. You could have found each other when you were young, or later in life. You share life. Really share it. You talk over just about everything, you share in adventures, you share in laughter (lots of laughter). When something amazing happens to one of you, the first thing you want to do is tell the other person. When something mundane happens, you want to share those details, too. When you go through something hard, you turn to one another unquestioningly. There’s no hiding in your partnership, because you’re too busy seeing things together. You’re spiritual, soul-level partners. An unflinching team. You’ve created a shared value system together and a way you approach the world. You might not be able to explain “why” you’re connected and compatible to an outsider. You might not even make sense on paper. You just fit, in an inexplicable way. You trust each other completely. When you’re with each other, it feels like you’re home. Being together has been a catalyst for you evolving as people (even when that evolution has been painful or difficult) - in part, because you feel safe and rooted with each other. But also because you want to be your best for one another, even when that means change. You’re infinitely curious about each other, you’re quick to joy, and when you’re with one another the world just…looks different. You just…like each other. More than you like anyone else. You’re one another’s best friends. If this sounds like the two of you, keep reading. You probably notice that my images are teeming with life, joy and vulnerability. More than anything in the world, I believe in the human spirit. I believe in our resilience, our ability to love deeply and evolve profoundly and experience unfettered joy. Our ability to laugh…and heal…and give…and receive. I believe that I'm meant to use photography as a vehicle to help humans explore, experience and ultimately witness the incredible depth and beauty of your own spirits. Loving the right person transformed my life. 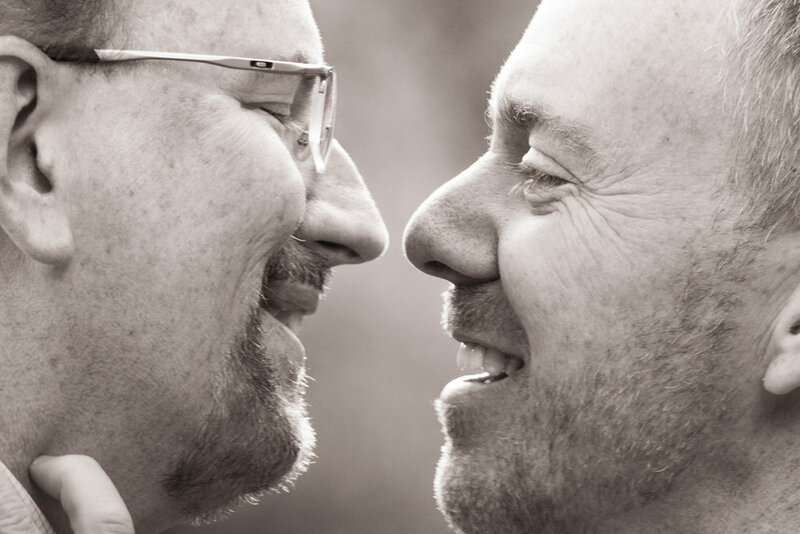 Eliot - my husband - is my partner in the truest sense. He is my best friend, my sounding board, my confidant and my cheer squad. He’s a White, transgender man, and I’m the daughter of Indian immigrants. Our journey has certainly been rooted in our external identities…but it’s so much more than that: around him, I discovered new parts of myself within myself. When we find Our Person, they change how we experience everything. They expand our world. It's not about hallmark romance or sweeping soundtracks; it's about the quiet day-to-day, about awakening to our own possibilities, about understanding the things that make us Whole and seeing our own struggles illuminated more clearly. It’s the ways we feel more deeply, explore more boldly, laugh harder and play more often. We know it’s happening, though we rarely stop to step back and name it. Eliot and I have been in each other’s lives for 15 years, and married for seven. What we share today is deeper, richer and more beautiful than what we shared early on. We have learned that lasting love is about knowing each other through and through, and continuing to take fresh curiosity in one another even as time passes. There’s a way that loving deeply helps us stretch in ways we never thought possible. It’s about making space for each other’s evolution, about sharing in triumphs and joys together, and laughter and delight. It’s having genuine wonder in one another. It’s also about making room for pain and limitations and humanness, for traumas and carried weight. At the end of the day, truly loving someone else is about agreeing to unfold together, hand in hand. And yet…I find that it’s easy for deeply loving humans (including me and Eliot) to lose sight of the parts of our partnership that make us Whole. It’s easy for us to focus on the day-to-day stressors of our lives and stop seeing the magic in the mundane. We can get so focused on all the transactional bits and pieces of our lives that we forget…even as we’ve paid the bills, and crossed things off endless to-do lists…we have also been laughing, growing, changing and continually making space for each other. Simply put: it can be hard to stay present with each other. I created the Dig Deeper Experience as an opportunity for deeply loving partners to Carve Out Space and create some magic together. Brief moments when you get to stop being so. damn. “busy” all the time, and hit PAUSE to reflect on what you have, how it has shaped you and why you love it. To consider where you are now, and where you’re growing and why it’s always worth it. “...and truly the part, which I will never ever forget, was how you...made me feel peaceful, free to think only of our love and helped me be able to be in the moment. ...These days with cell phones and constantly striving for the next and documenting the now...we didn’t need to. The Dig Deeper Experience is rooted in one main belief: when two deeply loving partners commit to being fully present with each other…to dive inward and follow the trail with a sense of curiosity, joy and love…your connection will lead you somewhere incredible. Through questionnaires to get your wheels turning, monthly video-chat conversations and an interactive photo session, we undertake a multi-month guided exploration of who you are, what you’ve created together, and what you believe. My People have described this experience from start to finish as anything from a wonderful self-care gift to a full-on transformative shift. Think about the best dates and shared moments you have - the ones where you’re completely focused on each other, fully engaged, laughing and talking and present. You inevitably walk away from those experiences feeling revitalized, energized and super-connected; THAT’s what we’re intentionally creating together with the Dig Deeper Experience. A chance to connect in a different way, and to honor your relationship in the way that it deserves to be celebrated every single day, for no particular reason other than its existence. And so…we spend six months together! We begin with four facilitated, laughter-and-honesty-filled conversations (one per month via Video Chat! ), which lead us to a half-day photo session (no pretentious posing - it’s an immersive experience full of exercises, play and delight that I facilitate and photograph), and a final retrospective conversation a little over a month after our photo session, once you’ve seen your images and had time to absorb. My role: I get to be your mirror, your advocate, your facilitator, your friend. I get to be the person that has a chance to show you how beautiful you are exactly as you are now. To help you reflect on the ways you’ve grown, individually and together, and the ways that you shape each other’s journeys. To share my own vulnerability with you. And, most importantly, to love you just as you are. Though I have a general outline of the topics we’ll discuss, I tailor the conversations to you - truly giving the two of you an opportunity to reflect, explore and focus on your journey and your partnership. Just as I tailor the exercises in our photo session to you. Please note that this is NOT counseling! It’s a chance to consciously create a space where your relationship, your journey to this point and the two of you get to be front and center, and you gift yourselves with your own presence for a little while. And in the midst of this experience, you get beautiful images that reflect the essence of who you are together, in ways you can’t begin to imagine. So, How Can you Dig Deeper with me? Spots close March 31st, so get in touch with me soon. I can’t wait to meet you both.